We have nearly completed our Chardonnay harvest with only one small block remaining. The vineyard team have been steadily handpicking each morning for the past 10 days and, have brought in some of the most outstanding Chardonnay fruit we have ever seen. The flavour development and concentration at such low sugar levels has the team very excited by the potential quality of the harvest. The Chardonnay fruit is all hand harvested and whole bunch pressed, with the free run juice being transferred to French oak barrels for natural fermentation. This season has seen the introduction of some larger format oak barrels in the form of puncheons which we are using on our Chardonnay and Shiraz. The 500 litre puncheons will offer us the textural benefits of barrel maturation with slightly less oak influence on the resultant wine. We have commenced the fruit intake of Sauvignon Blanc and Semillon, with the first hand pick of Semillon completed this morning and some machine harvested fruit coming in this evening. This is the point where the vineyard and winery teams split into two shifts, as we begin working day and night to harvest these varieties. The machine picking is done during the cool of the evening and early morning, to ensure these aromatic white varieties are at their freshest and most vibrant. The weather conditions are close to perfect with a continuation of warm days and cool nights the norm for the week ahead. It is certainly looking like one of the strongest white wine vintages for a long time - I think some really special wines will be made! Our first harvest of Chardonnay on the 3rd of February was the earliest start to harvest we have experienced at Voyager Estate. The Chardonnay vines have been tracking early all season and the very quick flowering in November set the scene for a potentially early start to harvest. The ripening weather has been warm to mild with no excessive heat and, the nights have been very cool – perfect conditions for the steady ripening of the white fruit. If the pleasant mild conditions hold, we should see our Chardonnay fruit steadily harvested over the next 10 to 14 days. This nice steady ripening allows us the luxury of handpicking small select parcels at perfect levels of ripeness. The early flavour development at very low sugar levels has been amazing and, the grapes are retaining excellent natural acidity. The Chardonnay fruit is all handpicked and chilled down overnight before whole bunch pressing and is then transferred to barrel for fermentation. Early days, however I cannot recall our team being more excited by the quality of fruit we are seeing at the moment! Following the rapid completion of the whites in late February, summer finished quite abruptly and, the first few weeks of March have been relatively mild and unsettled. Fortunately there has been minimal rain and, the cooler conditions have allowed the reds to finish off slowly, building great flavour and excellent tannin ripeness. We harvested our first block of Shiraz with a small portion of Viognier last Tuesday, and now have a steady week or so of our Shiraz harvest in front of us. The early signs are very encouraging, with fine soft tannins, plush ripe fruit and great generosity of flavour. The weather forecast for the next week appears perfect, with mild days, light breezes and plenty of sunshine. Our yields on Shiraz have been within our targeted range of 5 to 6 tonnes per hectare, however I anticipate our Cabernet Sauvignon will be slightly lower than expected due to the very small berry size. The quiet couple of weeks has enabled the winery team to keep on top of their workload and even have the odd day off – a rarity during the harvest period!. Meanwhile, the vineyard team is really busy again netting the vines, as the dreaded Silvereye (small native grape loving bird,) has begun to arrive in small squadrons. At this stage, I anticipate completing our Shiraz harvest late next week and, moving onto the Merlot and finally Cabernet Sauvignon during early April. What appeared to be an early harvest has suddenly reverted to a more “normal” harvest window for the reds. We are also gearing up for our Friends and Family harvest day on Saturday, where we will be hand harvesting a small block of Shiraz. Run in a slightly less serious format than a normal pick - there is plenty of breaks for enjoying a glass of bubbles or red with breakfast followed by morning tea and a long lunch!. It has certainly been a very busy couple of weeks with our white grape harvest completed on Wednesday evening. The Sauvignon Blanc and Semillon harvest was completed in 8 days – a new record. The warm days and cool evenings have provided perfect ripening conditions which has resulted in several blocks ripening at the same time, necessitating a quicker harvest to ensure the fruit is picked in the optimal flavour window. The Sauvignon Blanc has fresh and vibrant tropical fruit flavours of passionfruit, with some kiwifruit and lychee. The Semillon is in the citrus spectrum, with flavours of lemon and grapefruit. The early indicators are for an excellent example of this blend from the 2013 vintage, with plenty of fruit weight and intensity. Chardonnay is fermenting away nicely in barrel and, again the potential looks great, with excellent fruit weight, concentration and flavour profiles. Yields have been moderate, and from all reports, Sauvignon Blanc crops are down by 30% across the region. I expect this trend will continue with the reds as the berries are very small, which will result in very high skin to juice ratios. Great for quality and concentration but not so good for our volumes!. The early signs for the reds are extremely encouraging with our early tasting and sampling showing great flavour and tannin development at low sugar levels. I anticipate we will commence the red grape harvest next week with the first of our Shiraz fruit coming into the winery. It will be an exciting week as we commence the use of our new fruit sorting technology which, will ensure only pure berries and no leaf or petiole will find its way into the fermenters. Fingers are crossed for a continuation of this beautiful weather, as the season is reminding me of 2001 which, delivered some of the best reds the region has seen. Hand harvesting for our Estate Chardonnay commenced last Sunday in perfect conditions. This was one week later than last season and, it appears we are tracking on a more “normal” ripening season. The weather has been warm, with cooler evenings than the past couple of years, which is resulting in great flavour and acid retention in the fruit. The Dijon clone 95 from three of our best vineyard blocks has been picked and, looks outstanding. Concentrated flavours of lemon, grapefruit and pear with low sugar levels and excellent acidity has the winemaking team very excited. We are currently harvesting the Gin Gin clone Chardonnay which provides the more powerful core to the wine. Prone to millerandage, this clone has a high percentage of tiny berries this season due to the cool windy growing season. The fruit is currently in the lemon/grapefruit spectrum with excellent natural acidity and, we are all very optimistic of another potentially wonderful year for Chardonnay from our vineyard. 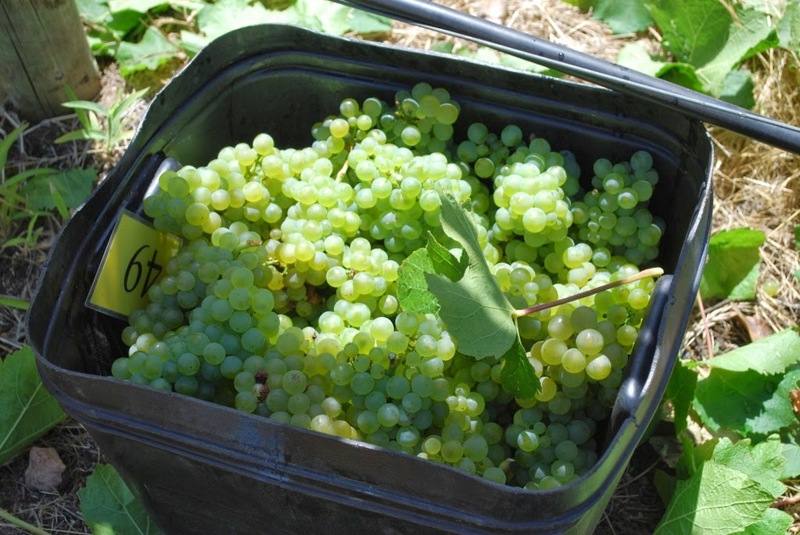 The other white varieties – namely Sauvignon Blanc and Semillon, are also ripening steadily in the fine and mild conditions. I expect we will commence harvesting these varieties sometime this week as, we wait for the vines to put the final finishing touches to the grapes!. It is always great to start a harvest in fine dry weather, and with another week of warm days and cool nights forecast, the conditions should see a significant percentage of our whites harvested. After our earliest ever start to harvest on the 2nd of February, our final harvest of Cabernet Sauvignon was completed on the 4th of April - a nearly 10 week long vintage period. The ripening period for the reds was exceptional. The late summer heat gave way to classic autumn conditions, with warm dry days and cool nights, which ensured optimum tannin ripeness and flavour development of the grapes. The yields were slightly higher than our targets, which in a warmer season was no problem, and may have helped avoid accumulation of sugars too quickly. This has resulted in grapes with moderate sugar levels at harvest, producing wines with great elegance and balance. The Cabernet Sauvignon looks outstanding at this early stage and, displays perfectly ripe tannins and fruit with great concentration of flavour and color. The grape skins are thick and leathery, which will stand them in good stead for three to four weeks of extended contact post fermentation. We are really excited by all of the wines from 2012, however, the reds look to have great promise and the quality is extremely strong across all our vineyard blocks. The blending components for our Cabernet Sauvignon Merlot are also very strong, with both the Merlot and Petit Verdot again showing layers of fine ripe tannins and great concentration. Many of the Shiraz blocks have been pressed off and are being transferred to barrel for their maturation phase, and again the quality looks very good. The wines are showing a wonderful purity of fruit with added layers of earthy complexity, which I am sure is a sign of vineyard maturity and careful viticulture practices. Margaret River has continued to deliver very high quality harvests for the past six seasons, which is exceptional even by our lucky standards. Where 2012 sits - time will tell - however to have such a plentiful harvest with such outstanding quality across the board at this early stage, makes me think it could be near the top!. It has been a busy couple of weeks with all of our Shiraz harvested, and we are presently picking Merlot and some Cabernet Sauvignon. The weather conditions have been absolutely perfect for finishing off the reds - sunny warm days around 26 degrees celsius with cool nights around 11 degrees. The quality of the reds appears exceptional, with excellent early tannin ripeness and beautiful freshness in the fruit flavours. The Cabernet Sauvignon particularly looks outstanding, with nice small berries and thick skins, which will enable a long period of skin contact post fermentation. This helps to build complexity and structure into the wine.